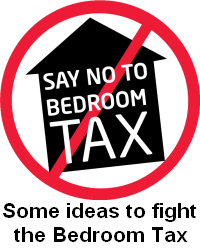 The Bedroom Tax, as part of the Welfare Reform Act came into force in April 2013. It reduces housing benefit by between 14% and 25% for those in social housing (council housing or housing association housing) if they are deemed to be ‘under occupying’. Plain and simple, the bedroom tax is an unjust attack on the poorest members of our communities. 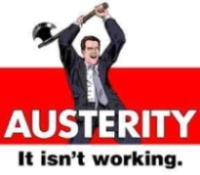 The government claims that this change will encourage more efficient use of social housing. However the reality is not only are many people in need of their ‘extra’ rooms but there are not enough properties for those affected to move into. Across the country there are already 1 million people on council waiting lists for one bedroom properties. The vast majority of those who do ‘downsize’ will switch from social housing to the private rented sector which will inevitably lead to higher rent costs and local authorities paying out more in Housing Benefits. The solution to a lack of social housing is not to punish those who live in social housing but to build more council homes. It has been estimated that nationwide, 660,000 people will be liable for additional rent costs and of those around 420,000 are disabled or carers. Many of their properties have been modified by social housing landlords to assist people in daily living. It is highly unlikely that people forced to move through financial difficulties, will find private landlords willing to spend out to modify properties. Whilst it is unknown what proportion of appeals will be successful, it is strongly recommended that those affected exercise their democratic right to appeal, as the alternative is simply to pay up and fall further into poverty. It is also strongly recommended that you apply for Discretionary Housing Payment (DHP) from your local council. And with this mind, BPACC will soon be announcing details of protests at Bournemouth and Poole town halls. This entry was posted in Welfare and tagged bedroom tax, bpacc, council, cuts, disability. Bookmark the permalink.